It seems that the mysterious 21 company is continuing to try to figure out what and how they should capitalize on their huge investments and Bitcoin. 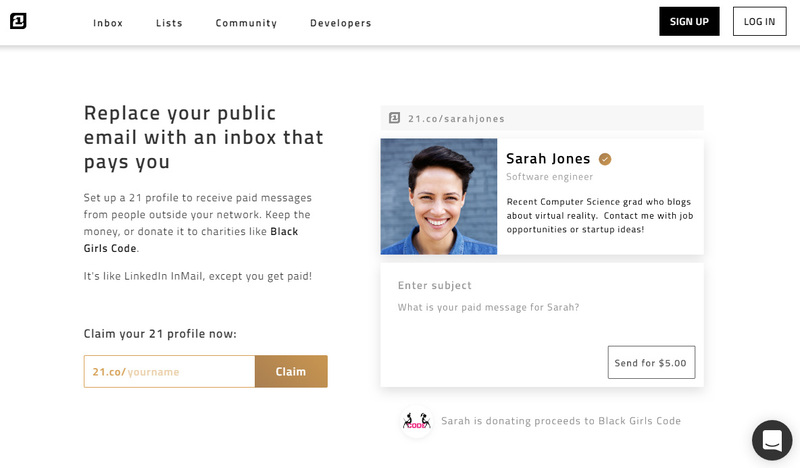 Their latest incarnation is a combination between an email and social media service with integrated Bitcoin payments. They compare it to LinkedIn’s InMail service where you pay to get in contact with a member of the service that is not your contact and you don’t know personally. With a 21 profile the idea is similar, however here a member of the service can contact you by paying you in Bitcoin and you get the money, not the service. It is not an actual email service, nor it is a fully fledged LinkedIn alternative or a Facebook-like social media… it is a kind of a hybrid between multiple things with Bitcoin added in the mix. Registration for 21 profiles are apparently open to the public now, so you can reserve your name by creating a profile now. Once you do you will need to get it confirmed in order to Earn your first $0.50 USD in Bitcoin and then you will be available to be contacted with survey type questions, though apparently not only limited to that, from other members and get paid for responding to them. You are also able to get in touch the same way with other members of the community, there are already a number of lists that group different people like a list of CEOs or VCs, programmers, students, crypto currency traders and other specialists in their areas. 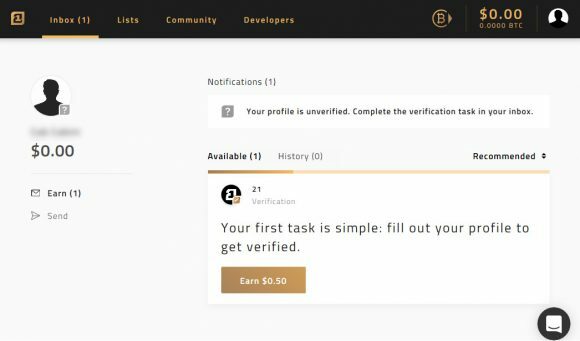 It seems that 21 is currently in need of attaining a large user base in a relatively short period of time and they have figured out a way to make things work for both themselves and the users of their service. The 21 profile can be a useful tool in the hands of a professionals in many different fields, but it does not seems that much attractive to the regular Joe at this point. Sure you may be able to get some extra money from it, but at this point if you are not a professional is some field you will hardly be somebody that will be paid for his/hers opinion. Still you might be interested in checking out the service and if you already have a LinkedIn profile, then you might also want to get a 21 Profile as well… even if you are not into Bitcoin or crypto currencies (yet).